Adventures by Disney recently revealed new enhanced river cruise vacation offerings for 2018, including options for special Beauty and the Beast themed experiences along Europe’s Rhine river, and adult-exclusive epicurean style experiences along both the Rhine and Danube rivers. 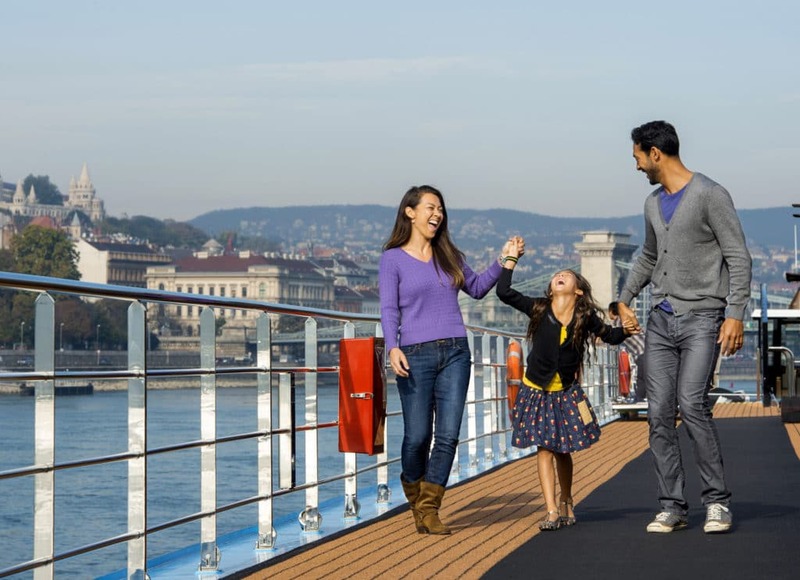 Sailing with AmaWaterways, a premier luxury river cruise line, Adventures by Disney river cruises offer a new way for families to explore the heart of Europe in a way that is active, immersive and easy. In 2018, Adventures by Disney will offer exciting new experiences on its European river cruises, including special experiences celebrating Beauty and the Beast on the popular Rhine river sailings. Adventures by Disney Rhine river cruises aboard the AmaKristina give travelers the opportunity to revel in the beauty of four countries – France, Switzerland, Germany and the Netherlands. Whether riding a toboggan and hiking in the Black Forest, exploring the famous storybook Heidelberg Castle, or sampling wine in a medieval basement wine cave, these eight-day, seven-night vacations pair unforgettable adventures in port with luxurious river cruise accommodations and amenities on board. On six departures in 2018, travelers will celebrate the quaint villages and culture that inspired the Beauty and the Beast films and savor special experiences. They’ll be immersed in a tale as old as time during a Beauty and the Beast themed dinner, as well as other unique culinary experiences inspired by the film. Families can enjoy screenings of both the live-action and animated versions of the film onboard, then become part of this beloved story as they tour Riquewihr, an idyllic French village that is as picturesque as Belle’s hometown from the movie. Adventures by Disney will also double the number of popular food and wine themed sailings along the Rhine in 2018, offering two epicurean sailings during the fall. Hosted by renowned chefs and sommeliers, these adult-exclusive sailings will serve up extraordinary food and beverage experiences both on and off the ship. Highlights include activities such as wine tasting, gourmet demonstrations and workshops, culinary walking tours in several ports, a French patisserie class, local beer and wine pairings, craft cocktail blending seminars and more. These cruises were inspired by popular food and beverage offerings throughout Walt Disney Parks and Resorts, such as the fan-favorite Epcot International Food & Wine Festival and Disney California Adventure Food & Wine Festival. In 2018, Adventures by Disney will also offer six departures of its popular Danube river cruises aboard the AmaViola. In addition to bringing back another season of summertime and themed holiday sailings, there will be an all-new adult-exclusive Oktoberfest sailing in September 2018. This special itinerary will visit Germany during the iconic yearly Oktoberfest celebration, and will include festive themed parties and culinary treats both on and off the ship. These eight-day, seven-night vacations will visit iconic locations and hidden gems in four countries – Germany, Austria, Slovakia and Hungary. From revisiting scenes from the movie “The Sound of Music” in Salzburg and exploring Devin Castle in Bratislava to taking a traditional Austrian folk dancing lesson in Melk, the opportunities for exploration on these Danube adventures are seemingly endless. Designed with guests of all ages in mind, each Adventures by Disney river cruise sailing focuses on variety and flexibility, allowing travelers to customize their trip by choosing from a wealth of activity options offered both in port and onboard. Adventures by Disney guests sail aboard river cruise ships that were custom built by AmaWaterways with families in mind. Design elements include sets of connecting staterooms and suites, some of which accommodate three- and four-person families. Adventures by Disney also worked closely with AmaWaterways to reimagine shipboard spaces and activities, offering unique programming for kids, teens and adults. These new river cruises complement a lineup of more than 30 other Adventures by Disney guided group land-based vacations to destinations on six continents. Adventures by Disney trips take guests off the beaten path in search of the culture, art and unique stories intrinsic to each destination visited. Bookings for 2018 river cruise vacations opened on March 2, 2017. To book, call 1-800-543-0865 or contact a travel agent.